All Air is Fredericksburg’s heating and cooling expert, with over 23 years of specialized experience in HVAC and AC maintenance. No matter the AC problem, we’ve seen it 10 times before, and are more than ready to fix the problem and keep the air in your home clean and comfortable. But in order for the professionals at All Air to fix your AC problem, you must be able to identify the problem. Here are a few of the most common AC problems and how to deal with them. Refrigerant is critical component of your air conditioning system, cooling and dehumidifying the air in your home. So if your AC unit has too much or too little refrigerant, or is experiencing refrigerant leakages, you’ll need to have it checked out by a professional. Your AC unit works best when it has the manufacturer-specified level of refrigerant—without it, you could be causing damage to the coils in your unit and increasing your energy bill. Refrigerant can also cause harm to the environment, so if you think your might have a leak, call the professionals for help. 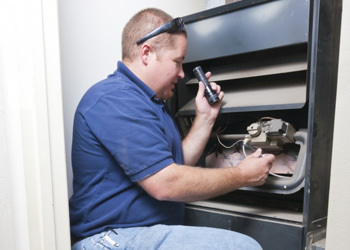 The professionals at All Air recommend having your AC unit serviced at least once per year to keep the unit healthy and happy for years to come. If you decide to skip these annual maintenance tune-ups, your AC unit could become clogged and congested. Once your coils, fans, and filters become soiled and dirty, your AC unit must push harder and harder to create cool air, which can ultimately cause compressor and fan failure. For the sake of your AC unit, listen to the doctor’s orders and call the pros for a routine checkup of your air conditioner. If your AC unit is constantly running or behaving abnormally, there’s a good chance the sensor on your unit is malfunctioning. On many AC units, a temperature sensor behind the control panel reads the temperature of the air hitting your air conditioner coil, which automatically determines how hard your AC should work to provide cool air. If this sensor is broken or out of position, your AC unit could be misreading the temperature of the outside air, causing it to run at strange times, work too hard or not hard enough, or to fail altogether. 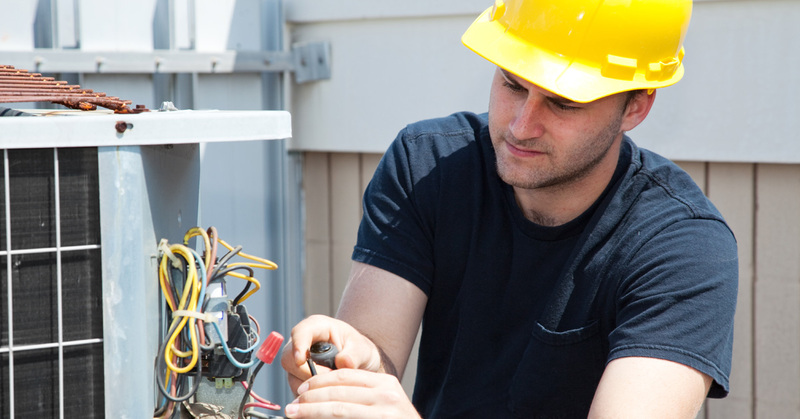 Heating and cooling experts have plenty of experience repositioning, repairing, and replacing AC sensors, so get ahold of a professional if you sense your sensor is acting up. AC wiring that isn’t up to code doesn’t just make your AC unit work harder—it can be a potential fire hazard. Your AC professionals should examine your wiring during your yearly maintenance tune-up, but if you see wiring problems in between visits, ask your AC technicians to swap out some old wires for newer, more dependable ones. No matter the heating and cooling problem, All Air is ready to help. We’re Fredericksburg’s premier AC maintenance service, ready to help you when AC disaster strikes. Don’t wait—call All Air today!